About 30 years ago Sam Mossman wrote a seminal book on angling in New Zealand called Saltwater Sportfishing (ISBN #0 7900 0095 4). It was a ground breaking book that was years ahead of its time. Many of the things Sam discussed, and the techniques he suggested, are now common place whereas back in the day they were considered radical and innovative. He was a saltwater lure fishing pioneer. Please note due to the age of this publication some of the brands, techniques etc may now have changed. Soft plastic lures have opened up the way to using lures on bottom-feeding fish which would not normally be considered targets for lure fishing. The Mr Twister range makes up the majority of these lures that are available. They are made of a soft plastic which look and feel life like and has a good action at a slow speed of retrieve. 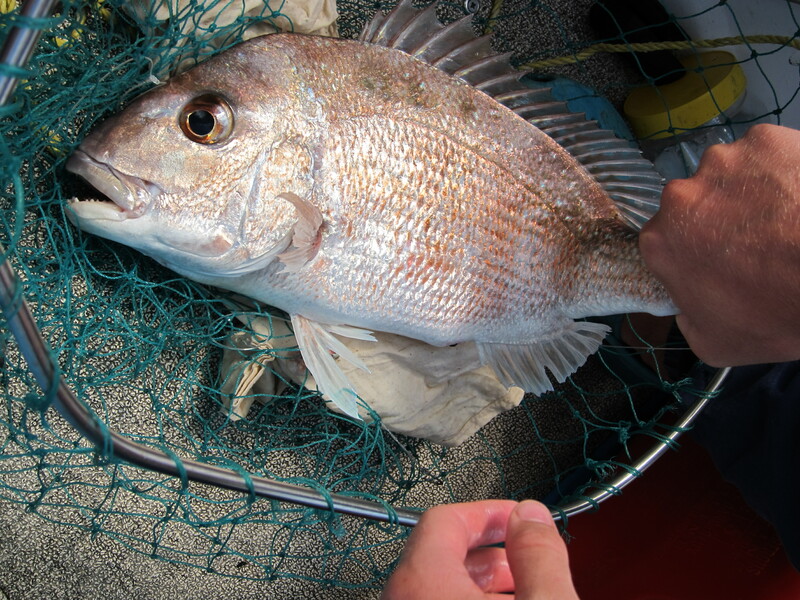 When a fish takes one of these lures, it is likely to feel like a normal bite or perhaps additional weight, or the absence thereof. Most of these lures have the hooks mounted in the top half of the lure. The fish in all likelihood will seize the lure by its highly mobile tail. If you strike at the first sensation of a take, seventy per cent of the time the result will be a lure with it’s tail bitten off. A certain amount of drop back time should be allowed. There is nothing in the feel of the lure to alarm the fish so let it have another mouthful, and then strike. This improves the hook-up rate considerably. For the worm-type models, a short trace to a light hook near the tail is an advantage. 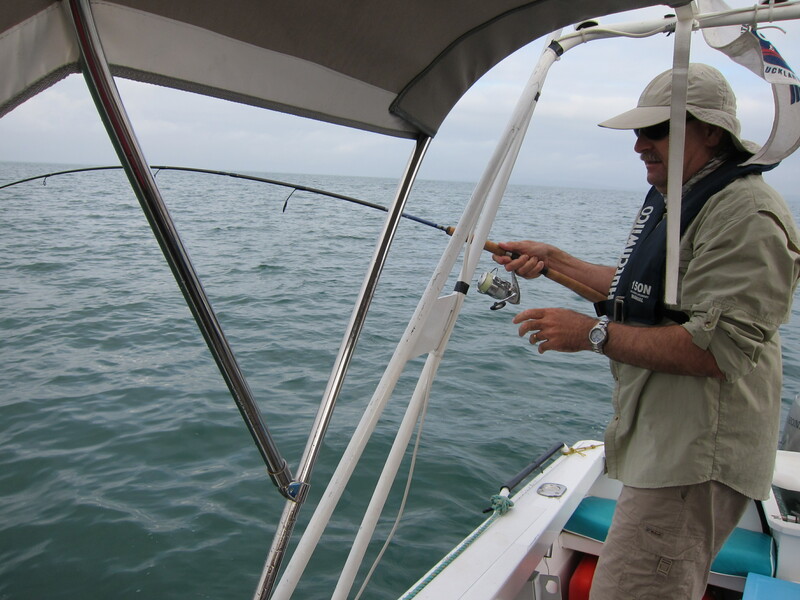 A heavy hook in this position tends to kill the action of the lure.The big disadvantage of these lures is that they are easily chopped up by fish. They can be repaired by melting the torn faces with a match and pressing them together. Another problem is that many of the models come equipped with a light wire hook, which even a fairly small fish can bend. A new plastic lure, the scampi, seems to have most of these problems solved. The hooks are stronger, the plastic is a much tougher, but still lively, formula, and better yet, they are cheaper! A final comment on plastic lures: some of them react with other plastics, such as some types of tackle box. The safe tackle boxes are identified by stickers saying “worm proof or something similar. On the subject of hooks, there has been debate for years over whether trebles or singles are better on lures. Personally I have found trebles to be fine on smaller fish, but when getting into larger specimens, such as kingfish, I have had problems with them opening out or snapping off. On larger lures I replace the trebles with a strong single hook. The only exceptions to this are the trebles that come as standard on the larger Rapala lures. They seem to be exceptionally strong and have never given me any trouble. Surface-feeding fish can be selective feeders at times and it pays to make some attempt to match what they arc feeding on. Fishing near Cape Kidnappers one day, we came across a scattered school of kahawai feeding off the end of Black Reef. We drew up near the school, and I tied a small silver and green Rapala diving lure on my spinning gear. The boat accompanying us put over a couple of plastic squid and started trolling. I hooked five big kahawai in as many casts, and one of them disgorged a couple of large anchovies, similar in size to my fortunate choice of lure. Our companions in the other boat caught nothing until they changed to a similar lure. As far as lure fishing tackle is concerned, a fixed spool reel loaded with 5-kg mono filament is a good all-round tool, when matched with a suitable rod. You can go smaller if you want to, and I have a 1.5-kg set-up which I use when I am feeling brave. Fish like medium-sized kingfish really need a little more muscle than 5-kg line, and 8 kg on a large thread line reel or fixed-spool casting reel is a good size. For working big lures in deep water or from shore, a fixed spool casting reel with 15-kg line is appropriate. A properly matched rod is essential for good casting and I prefer a medium to fast action.